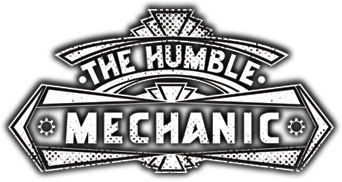 With the holiday season in full swing, I though it would be fun to give some advice on buying tools for the tool junkie on your list. Shopping for tools can be overwhelming to say the least. I know a lot about hand tools, and a fair amount about other tools. I still get lost in the sea of wrenches, hammers and drills. I can only imagine how someone with little or no tool knowledge feels. Before you hit the stores have some basics in mind. You must know who you are buying for. That will get you in to the right aisle of the tool store. Try and break it down in to one of these categories. If you are buying for someone that works with wood, think saws and chisels. This is the person that builds and repairs electronics. This is the category that most folks fall into. Head to your local home improvement store, and pick an aisle. DIY tools for the house is just about everything. Drills, saws, ratchets hammers, shovels, the list goes on and on. Now that you know who you are buying for, it’s time to get shopping. There is a saying “buy it nice, or buy it twice”. This applies to to tools as much as anything. Buying good quality tools is a must. No matter what tool you are buying, there are some brands that really stand out. If power tools are on your list, I prefer Dewalt and Makita. I have an impact driver from Makita that I use more than any other tool in my tool box. I like it so much I got a second one to keep at the house. They may cost a little more, but they are well worth it. If you are shopping for hand tools, a few names stand out. 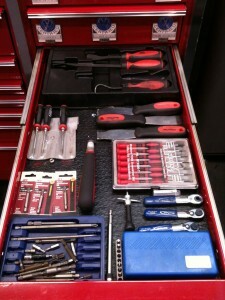 Craftsman, Stanley, Snap-on, Matco and more. When buying hand tools, make sure the tools have lifetime warranty. Even the best quality tools break. You want to make sure your are buying a tool with some piece of mind. The key to any tool purchase is you get what you pay for. If you buy that really cheap set from the dollar store, expect to get what you pay for. This time of year the gimmicky tools are everywhere. If a tool claims it can do 75 things, plus make your breakfast, odds are it can’t do much of anything. I have tried many different things that were “as seen on TV” type tools. Few of them do the job they promise. Be careful when thinking about a big tool set. A 150 piece tool set may only contain 75 tools that most people would use. Tool kits can be a good buy, just be very cautious. Look at the number of bits and Allen wrenches, that generally dominates the total tool count. Leave this one to the tool fan. I would not expect my wife to buy me a special VW tool. That is too much pressure on the gift giver. Many times specialty tools are too specific to the user. The flashier it is, the worse it generally is. If a company has to put flames or flowers on a tool, they may be adding flair to compensate for poor quality. If you can’t pick that perfect tool to buy as a gift, these tools make great gifts. There is no such thing as too many flashlights. My personal favorite is the Streamlight Stylus Pro. You can pick it up for around $20. I own about 7. It is the light I use in the shop all day. I also keep one in every car, and have a couple of backups at work. This is another tool that you can’t have enough of. I generally use 2 when I do projects. Even with that I still find myself looking for the tape measure. Most folks call these Vise-Grips. That is a brand, not a tool. Just like making a Xerox. It’s okay though, I call locking pliers Vise-Grips too. There are so many uses for locking pliers. You can use them as pliers or as an extra set of hands. They are also great for removing stripped bolts. Clamps are a lot like vise grips, too many uses to list. Everything from holding a project together while the glue dries, or resetting a brake caliper piston. 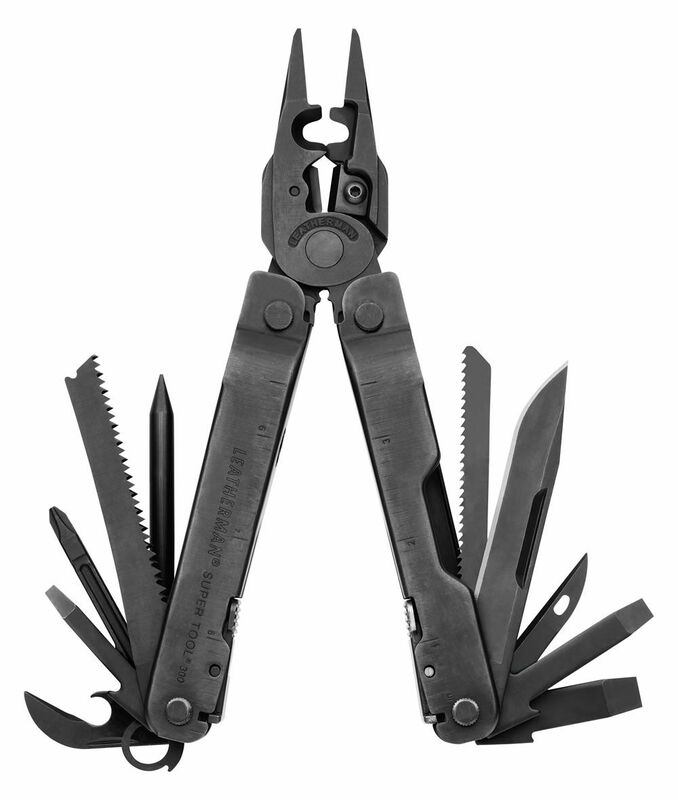 Many tool fans carry pocket knives. Pocket knives are great gifts. You can use them for cutting tape on boxes. In a pinch, they can be used as a screwdriver. I would not recommend doing that as a first choice. If you have someone that new to tools or projects, consider a “How-To” book. Whether you want to repair your car, or rewire your house, “How-To” books belong on every bookshelf. 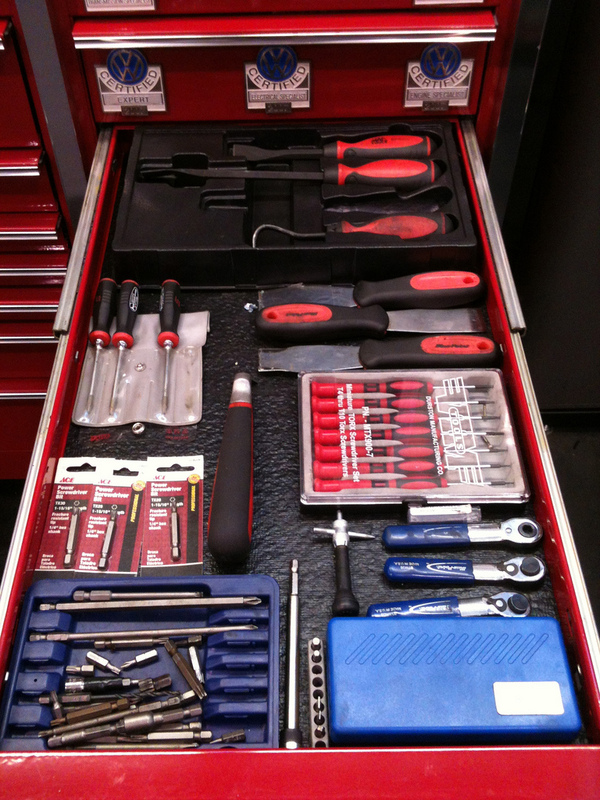 You can also consider anything that can help maintain tools. A knife sharpening kit is a perfect example. You can also never go wrong with batteries. If all else fails a gift card is a sure fire fall back. I hope that you are all able to find the perfect tool for that tool fan on your list. I inherited a compressor with my house and have since bought some tools. very handy indeed. plus, my son loves to play with the impact gun. I let him help me (with proper supervision) when doing brakes, rotating tires, etc.. hell, he even just loves to help when I’m using it to put air in instead of running to a gas station to do it. simple, cheaper harbor freight tools do about 90% of the jobs for me. I did have to try my father-in-law’s better impact gun at his house one day, but I’m still not sure if that helped or not. it still required a 24″ breaker bar and a 4ft pipe extension to break those bad boys loose AFTER having tried for some time on my compressor and his. I assumed those threads had been stretched too far that time and replaced them after. I also became a fan of using a little grease and checking to torque them down more often. grease or not, they shouldn’t come apart on their own, but I still make sure. but back to the original point, yup, go for a small compressor, or a big one! even just a .25″ air ratchet can save tones of time and wrist fatigue on those of us who don’t work the tools daily.